Topical antifungal cream with miconizole nitrate 2% as an active ingredient. Unlike other miconazole creams, ours contains Emzaloid technogy which enables the active ingredient to penetrate the skin faster, therefore quicker results. 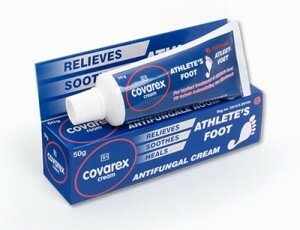 50g – targeting athlete’s foot, bigger size suitable for longer duration of treatment necessary for this condition. 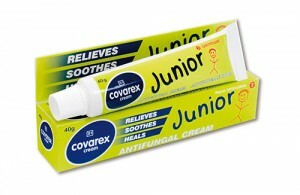 Covarex is also most recommended topical antifungal by Dermatologists. Although not recommended as monotherapy for Tinea capitis, it can be used with oral treatment to help prevent spread of the disease. Apply twice daily on affected area for two to four weeks depending on condition.